Our license plate bill will be heard by the Joint Committee on Transportation on February 12, 2014 at 10:00 am. House Bill 3136 would reduce the number of initial applicants required to purchase specialty plates in advance, and those additional ones during the first two years from 1,500 to 500. So, instead of 3,000 applicants, 1,000 would be sufficient. By lowering the initial threshold for specialty plates, we can help charitable groups who are finding it difficult to raise money and keep their programs going. The current system creates substantial obstacles for smaller nonprofit groups that wish to benefit from the issue of the special plate series. By lowering the number of license plate applications needed in order to obtain approval from the Registry of Motor Vehicles, all charitable foundations will have a better opportunity to be successful in getting their plates into production. As a result, there will be an increased the long-term revenue stream that these small charities need. And it has bipartisan support in the House. Rep. Roy has been researching plate legislation throughout the United States and has even toured the plate manufacturing facility at MCI Cedar Junction in Walpole. These efforts are to make certain that the bill is revenue neutral and will not increase costs to the Commonwealth. He has worked closely with Paul Yorkis of Medway in the preparation and presentation of this legislation. 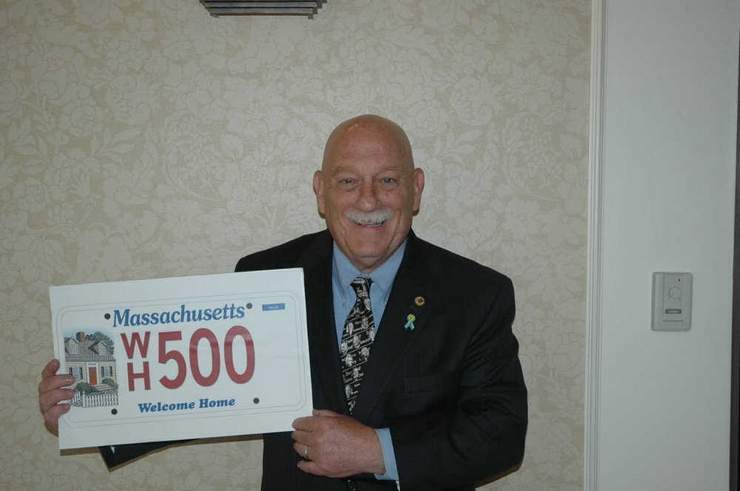 Yorkis has been instrumental in working with the MA Association of Realtors Welcome Home Fund which has sold over 500 plates, but are far below the current threshold. Most states embrace the special license plate and have much lower thresholds. As a result, hundreds of charitable entities have been able to increase funds available to fulfill their missions. States like Iowa, Michigan, New Jersey and Ohio impose minimums of no more than 500 plates. Missouri requires only 200, and Georgia will manufacture a plate for as few as one applicant. The State of Indiana has the most lenient requirements, and through a process of on the spot printing, can produce 2D printed (no raised letters) license plates for as many or as few drivers as they want. And in Indiana, over 100 special plates are offered to its citizens on behalf of charitable organizations. You can view the full text of the legislation by clicking here. You can view the legislative fact sheet prepared by Rep. Roy’s office by clicking here. Last May, the bill was featured in a Worcester Telegram & Gazette story. To view that story, click here. I know little about the who,e process, but…If not cost prohibitive for an initial set up, the lowest minimum would be great. Enough to make it worthwhile to process but helpful to the charities’ abilities to organize enough potential buyers. I think it’s a great idea. I am intrigued how some states do it successfully, I assume or they wouldn’t do it, with even one plate….